We suggest you to get to know Anykščiai Regional Park's protected trees in few steps. The start and end of the trips is Anykščiai Regional Park visitor centre. ARP visitor centre – Elmė Oak. The route consists of a wooden path, asphalt road, forest roads and gravel road. Away from Anykščiau Regional Park visitor centre go to J. Biliūnas street and turn left. Go for 900 metres, then turn left to Niūronys. 1.5 km away you will see the direction to Lašiniai village, take the turn.Go straight for 2.5 km. When you reach the crossroad, turn right and keeping to the right go for about 1.7 km along the forest road. You will then reach the ground in the forest. Keep it to the right and soon you will reach Elmė Oak. Then go back to the same road. The route includes wooden path, asphalt road and forest roads. Helfway of the route - The Treetop Walking Path. From the visitor centre let's travel to the wellness path. Turn left and go along the path until it ends - for about 3.5 km. Take the bikes up the hill and look for direction "Šventosios takas". Going along the path you will visit the Pine. In the end of the path - Puntukas Stone and the Saint Oaks. The treetop walking path is here as well - it invites you to take a look at Anykščiai Pinewood from the tower (34 metres). After admiring the Pinewood, we go back by the asphalted path for bikes. Go straight for 3 km then go down the wellness path and go straight to the RP visitor centre. ARP visitor centre – Pavariai Tree ir Variaus Oak. 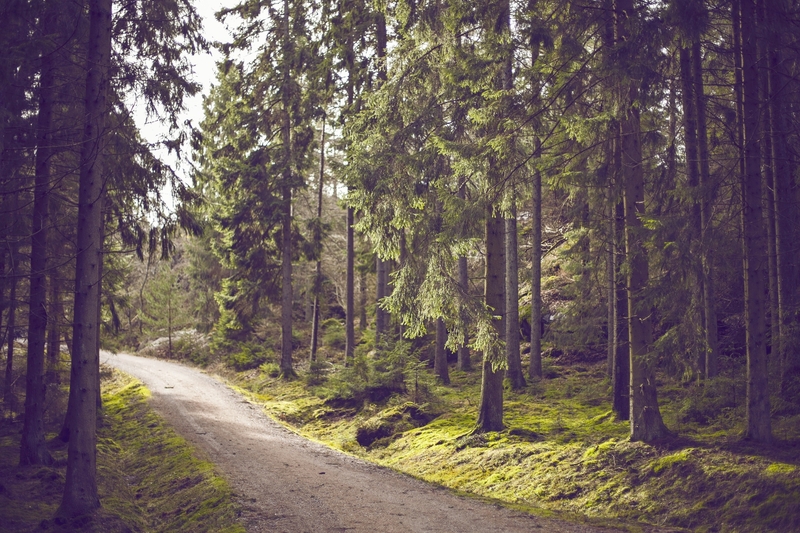 The route includes a wooden path, asphalt road, gravel and forest roads. When you reach the wellness path, turn right and go along the path for about 1.7 km until it ends. In šeimyniškėliai street turn left and go for 3 km until the direction "Pavarių akmuo", turn right. On the left side of the road is Pavariai Stone, on the right side 130 metres away- Pavariai Tree. Go back to the main road and go further for 500 metres, then after crossing the bridge, turn left. Go straight all the time along the road of forest until you reach Šventoji river. In summer, there is a lot of plants, we offer you to walk to Variaus Exposure with navigation systems. The coordinates of Varius Oak : (WGS) 55.5609, 25.09013. The route includes asphalt roads, gravel and meadow roads. Go back to the main road and go to Mačionys, after 3 km turn to Burbiškis. Go straight for 12 km. When you reach Keblonys turn right and after 1.5 km look for a road in the left direction. Turn to it and soon you will reach the crossroad with the narrow gauge rail. Turn left and go along the rail for about 1 km. Then you will reach Žažumbriai Oak. Go back to the asphalt road and turn right and go straight through Keblonys towards Anykščiai. In the crossroad T turn right and go straight until you reach another T form crossroad, then turn right and go 600 metres until you reach Anykščiai RP visitor centre.